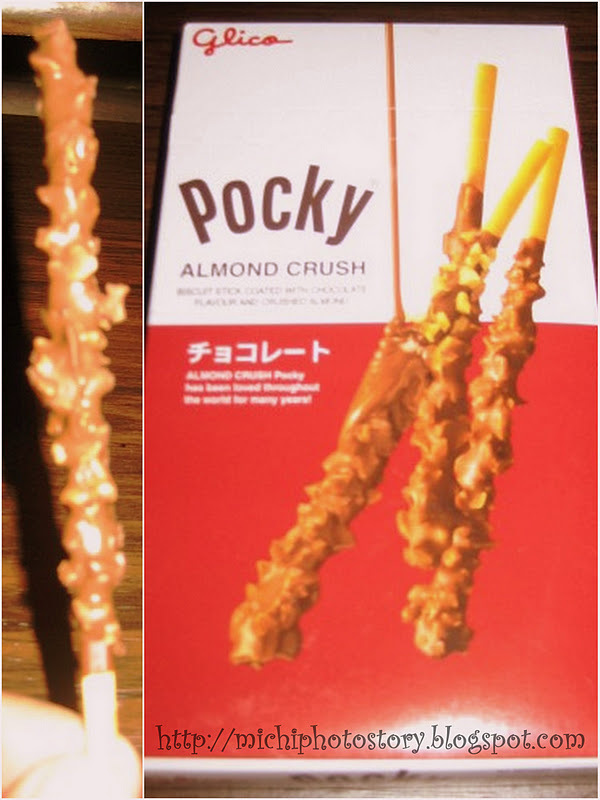 I saw Glico Pocky Almond Crust last Saturday and decided to include this in our grocery cart. I only got one box because I am not sure if my son would like it. Yesterday, I gave this to my son for his snacks and it was an instant hit, he finished this in one sitting. Out of curiosity, I checked the wrapper if there is something left so I could taste it and lucky for me, there is 1 inch piece of stick left. It is indeed yummy. I checked my grocery receipt and I was shocked because it cost P64.50. (expensive for a snack). 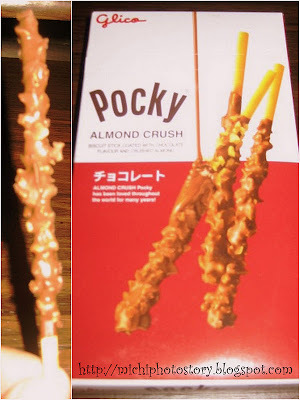 But I will still buy Glico Pocky Almond Crust and will try other variant. chocolate and strawberry pocky sticks pa lang na-try ni Xian,and true masarap nga sis.i'll look for this variant next time,medyo expensive nga compare with the regular flavors.mahal siguro dahil sa almonds.hehe! So far I've tried the chocolate, strawberry, almond and the banana (from sg) variants, and all of them are yummy! Yun nga lang it's pricey since it's an imported brand from Japan.